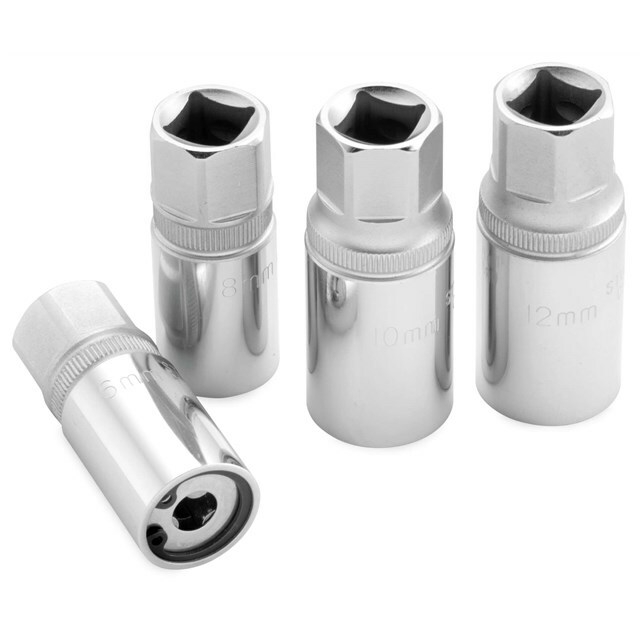 The BikeMaster® 6, 8, 10, 12 mm Stud Removal Sockets can install studs too! These removal sockets allow you to grip a larger area with bi-directional rollers to confidently remove or install the studs. The socket slips over the stud protecting it and allows you to use the force necessary to break the stud free. There is no risk of open-ended wrenches slipping off. It comes with a manufacturer’s lifetime warranty.